The smallest of my little pumpkins — too small to make a pie or even a pot of pumpkin bisque — grill beautifully. 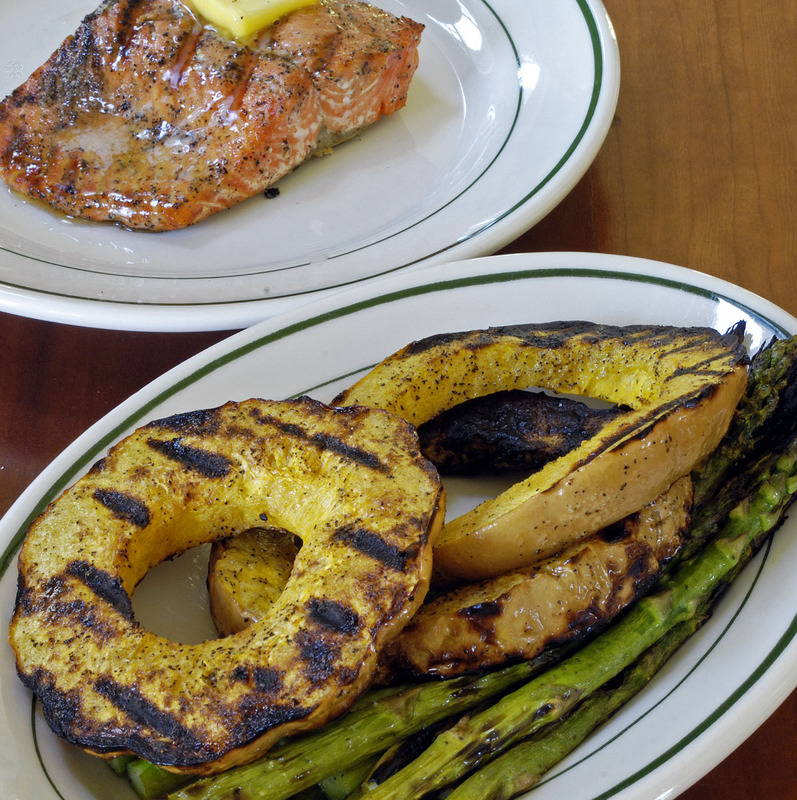 You could grill any winter squash, of course. A Japanese winter squash, kabocha, has an edible skin, I believe. I grilled this pumpkin in the skin and cut off the skin at the table. It was 70 degrees F on the deck today, and the daffodils are still blooming. So it was better to be slaving over a hot grill on the deck than over a hot wok in the kitchen. If I haven’t mentioned it lately, in case you want to order seeds, the proper name of my little pumpkins is “Long Island cheese squash,” or “Long Island cheese pumpkin.” They seem to be everybody’s favorite for pumpkin pie, but I’m experimenting with their versatility. I still have about a dozen of them left from last year’s crop. This was written by daltoni. Posted on Wednesday, April 3, 2019, at 3:48 pm. Filed under Food. Bookmark the permalink. Follow comments here with the RSS feed. Trackbacks are closed, but you can post a comment.